Why You Should Drink Aloe Vera Gel. It is important to me that I share information with you on products that have helped me cope with fibromyalgia. So why should you drink Aloe Vera Gel? Simple, because its contents are beneficial to your general health and well-being. Here’s a breakdown of the many amazing health benefits of aloe vera gel. About 75% of the human body is made up of amino acids. Every single functioning of the body depends on amino acids and the proteins they build. Some therefore say Amino acids are the legos for your life because the kinds of amino acids found in your body lead to the kind of proteins formed and ultimately, how your body functions. Of the 22 amino acids needed by the body to function, Aloe Vera provides 20. More importantly, it provides 7, some say all 8 essential amino acids the body cannot manufacture. One of the best known essential amino acid is Tryptophan which performs several critical functions for people such as induce normal sleep, help reduce anxiety and artery spasm risk, help produce a stronger immune system. K – the Clot master. Magnesium – Strengthens teeth and bones, maintains healthy muscle and nervous system, activates enzymes. Zinc – Speeds up wound healing, mental alertness, healthy teeth, bones, skin, immune system, aids digestion. Manganese – Activates enzymes, builds healthy bones nerves and tissues. Chromium – Helps in the metabolism of protein, and the balancing of blood sugars. Copper – Red blood cells formation, helps maintain healthy skin and hair. Iron – Oxygen transportation in the body, making of haemoglobin in red blood cells. Potassium – Fluid balance in the body. Phosphorous – Builds healthy bones and teeth, aids in metabolism, and helps maintain the body’s pH. Sodium – Regulates body liquid, delivers nutrients into body cells, in charge of nerve and muscle performance. Polysaccahrides – Most worthy of mention here is acemannan which not only has anti-viral and gastrointestinal properties but also has the ability to modulate the immune system. This is a very important function. Acemannan stimulates the body’s macrophages which stop viruses from multiplying. Macrophages are the deep cleansers of the immune system that can destroy small particles such as toxic chemicals and tumors. Acemannan also helps lubricate the joints and line the colon. That’s why aloe is great for colon cleansing. These break down the protein we eat into amino acids, and turn food into fuel for every body cell. In other words, they break down sugars and starches; help in the digestion of fats and cellulose; aid in metabolism, and prevent the accumulation of water in the body. The enzyme known as Bradykinase, helps reduce inflammation when applied to the skin. Aloe Vera has 12 of them. These have anti-viral, anti-bacterial and analgesic properties. The anthraquinones in Aloe Vera break up residue, pus, lifeless cells, bring blood to the region and flush out material from wounds and ulcers. It is this ingredient in Aloe Vera that gives it the effective penetrating capability to transport all of Aloe’s goodness and healthy substances deep into the layers of the skin. These soapy substances give aloe its cleansing and antiseptic effect on bacteria, viruses, fungi and yeasts such as candida or ‘thrush’ . These have fatty acids that have antiseptic, analgesic and anti-inflammatory properties. Remember, aloe vera oxidizes easily which means it looses its nutrients very quickly. Aloe Vera would turn brown just as a cut apple or banana would turn brown after being exposed for a while. Look for stabilized aloe vera gel to ensure you’re getting all the benefits of the gel. “Stabilized” means all the goodness and nutrients of the aloe have been “locked in”. 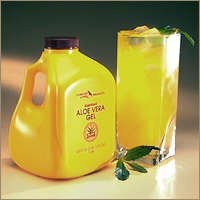 Forever Living Products owns the patent for stabilizing aloe vera gel and produces the purest form of consumable aloe world wide. Most people’s concern about the bitter taste of aloe vera gel no longer exists since we have flavored gels – cranberries and apple flavor, and peach flavor. 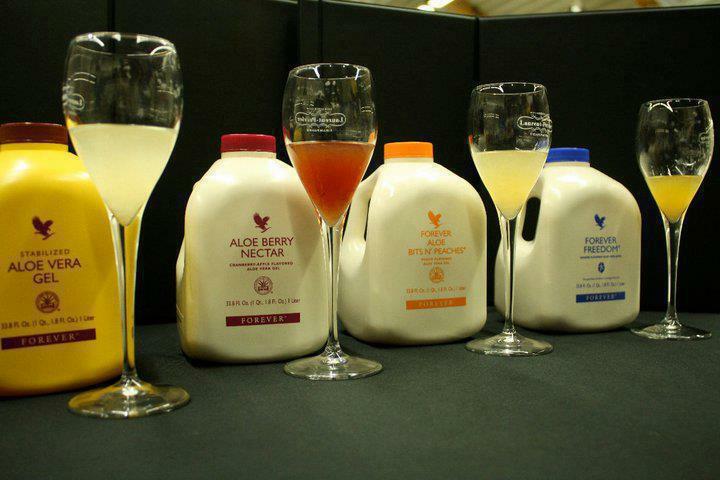 You can also choose to blend your favorite fruit into aloe vera gel to act as a natural sweetener. I prefer pure, undiluted aloe vera gel.